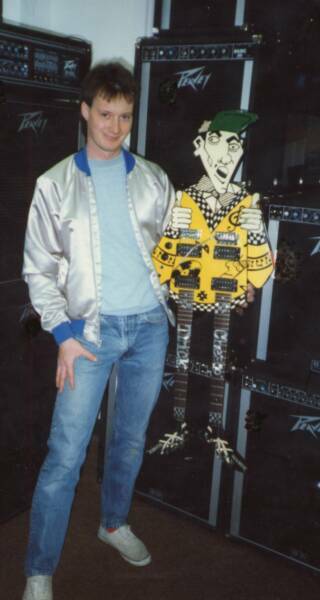 At age 20 I was already working on guitar overhaul & set up...Here I am with Rick Nielsen's guitar from Cheap Trick I had worked on. 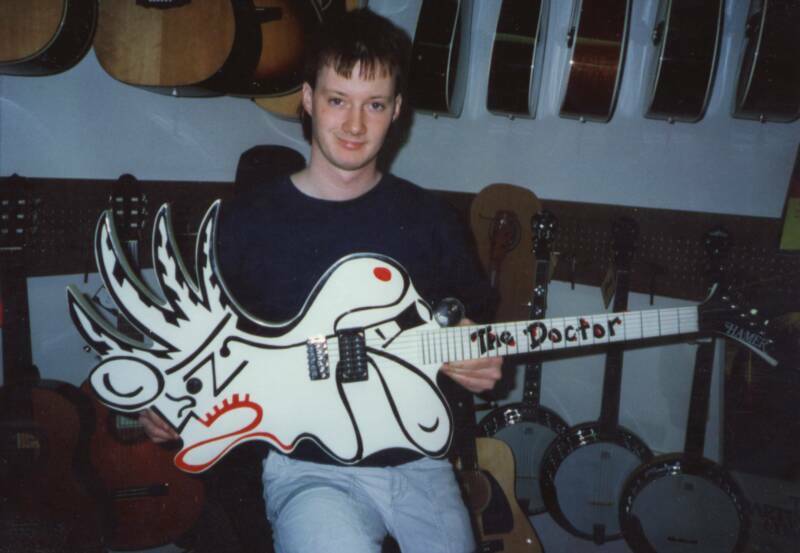 Rick Nielsen's (Cheap Trick) 'TheDoctor' guitar in for repair and setup. 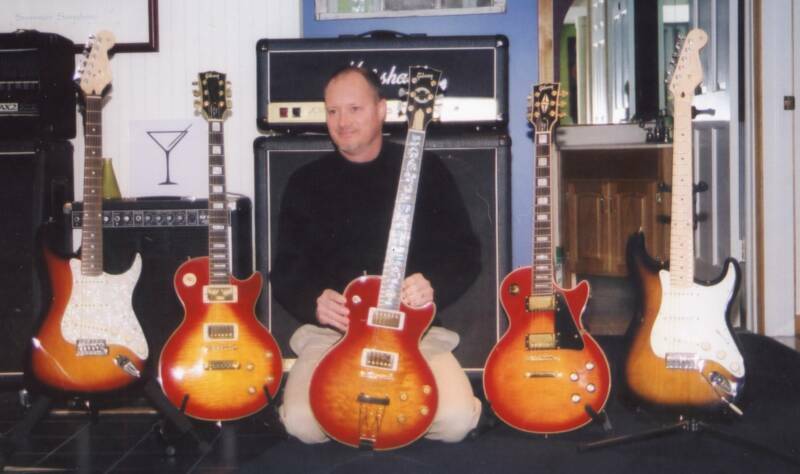 Although I have an extensive collection, I get more compliments on the guitars I build than the most expensive Les Pauls and Strats I gig with. 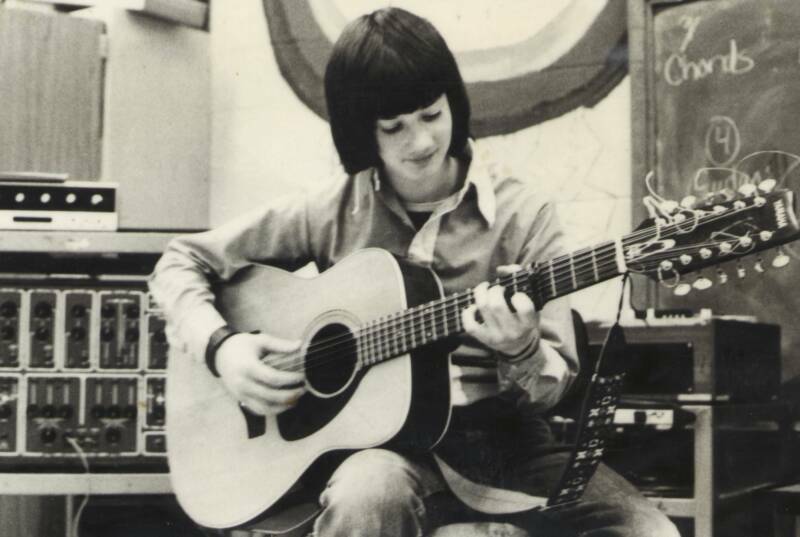 At age 13... 1973 go figure! 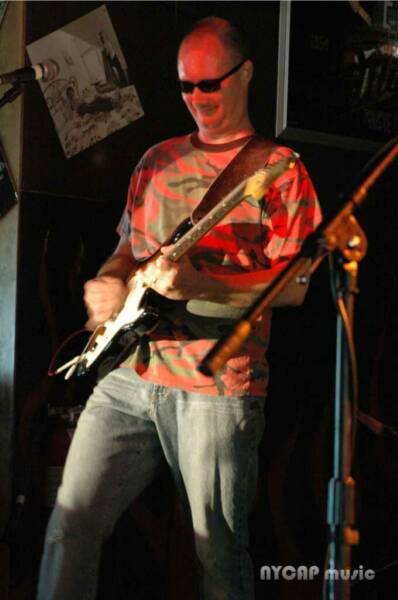 At 57 I still enjoy creating and building guitars. 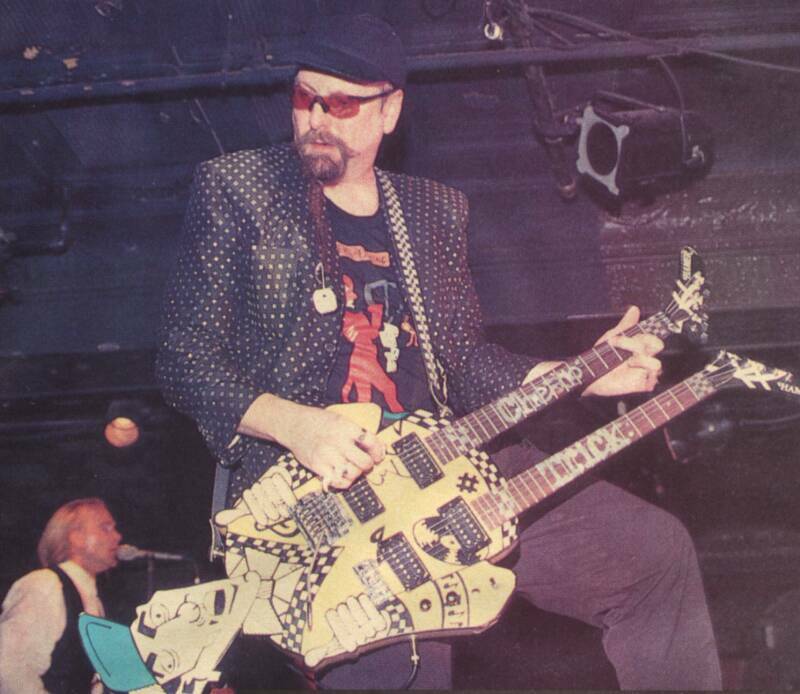 “Studs” one of Morahan’s one-of-a-kind designs just made its debut in Vintage Guitar Magazine's April 2008 issue. 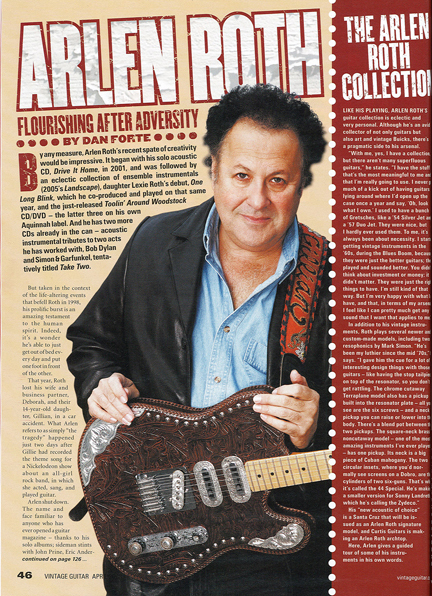 Legendary artist Arlen Roth (played with likes of Bob Dylan, Simon and Garfunkel, John Prine) chose to hold a Morahan Custom over the other twenty in his extensive guitar collection that was highlighted in the article. 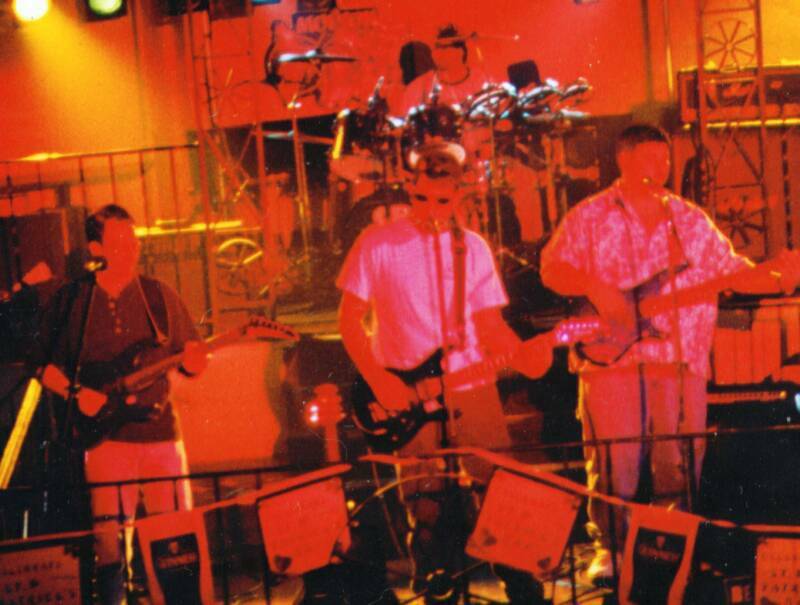 "Pennies From Heaven" was a special tribute guitar conceived and created especially for Arlen Roth in honor and memory of his beloved daughter Gillian. Over 190 pennies from 1983 (the year she was born) were beautifully inlaid over the front. On the back, pennies were perfectly arranged into the shape of a heart accenting her very own signature pulled from a coffee cup previously autographed. This presentation of the "Pennies From Heaven" Guitar was made at the famed Les Paul Iridium Club in NYC in the spring of 2012.